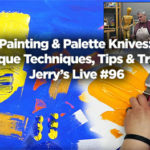 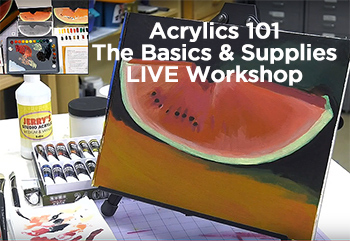 Jerry’s LIVE Episode #96 – Painting & Palette Knives: Unique Techniques, Tips & Tricks Featuring: Painter’s Edge XL Palette Knives Set of 6, Paramount Professional Gallerywrap Canvas Would you like to imbibe your painting with a sculptural quality, but not quite sure how? 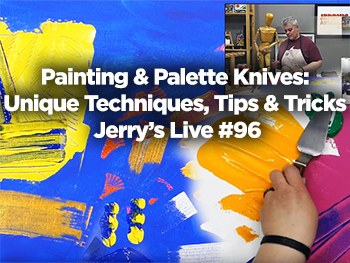 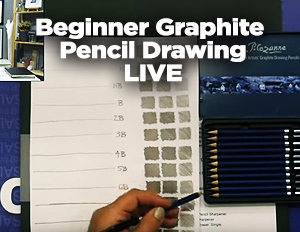 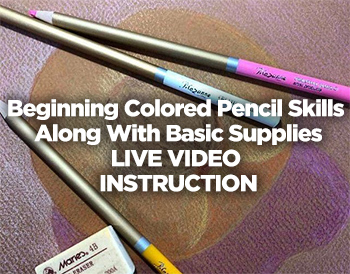 Are you a texture junkie, but have grown tired of everything…..
Jerry’s LIVE Episode #95 – Create An Oil Pastel Painting, Step-By-Step How To Featuring: Mungyo Oil Pastels Did you love that feeling of crayons in your hand as a kid? 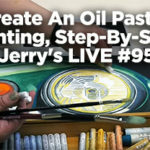 That freedom and feel of smooth application of color in your hand, where tight detail isn’t a thought seems just a lovely memory, right?…..
Jerry’s LIVE Episode #93 – Beginning How To Colored Pencil Skills With Basic Supplies Featuring: Cezanne Colored Colored Pencils The Colored Pencil medium has always maintained popularity with illustrators, designers, and students, alike. 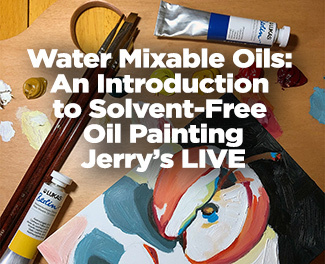 However, it has risen as a fine art medium to a huge number of devotees, demanding lightfastness improvements of manufacturers and…..
Jerry’s LIVE Episode #92 – Water Mixable Oils: An Introduction to Solvent-Free Oil Painting Featuring: LUKAS Berlin Water Mixable Oils! 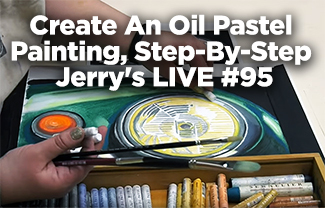 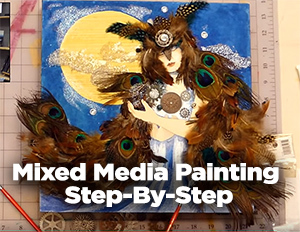 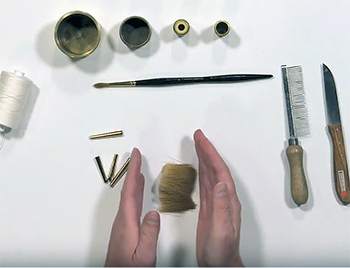 So you’ve always wanted to try oil painting, but you have asthma, a compromised immune system, or other health issues that have kept you from it? 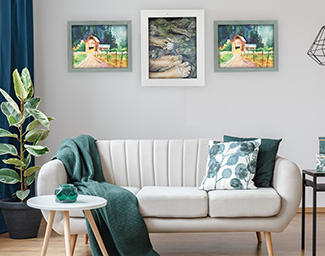 The water mixable oils revolution can change all…..
Country Chic Frames – Millbrook Frame Collection Available in 17 styles, 2 Frame widths! 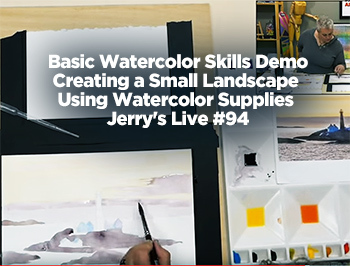 Made by master craftsman at Jerry’s right here in the USA Wide: Dimensions– Face 2½”, Rabbet Depth ½”, Overall Depth ¾” Narrow: Dimensions– Face 1½”, Rabbet Depth ½”, Overall Depth ¾” Sizes 8×10″ through 16×20″ come with 2mm glass and cardboard backing Sizes 18×24″ and…..
Jerry’s LIVE Episode #90 – Mixed Media Painting Step-By-Step: Watch and Paint Along from Start to Finish Featuring Top Brands: Turner, GOLDEN, Liquitex, Da Vinci Panels and More Mixed Media works are fun and freeing to create – you can use most any supplies together, provided you know what works with what or how…..